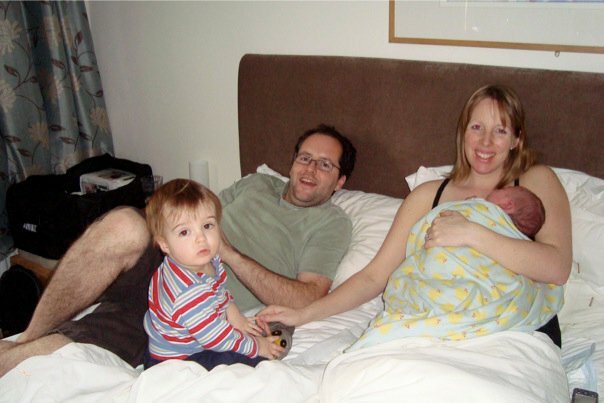 I wrote our wonderful, home-birth birth story up not long after having our second baby. It was shared on our lovely Independent Midwife’s website. 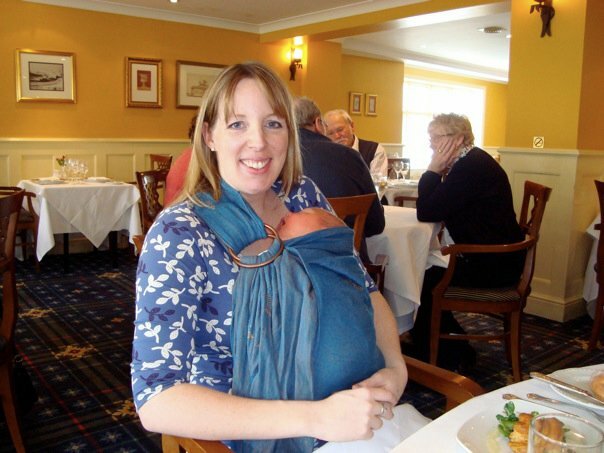 She is no longer working as an Independent Midwife and the website is now closed, so I thought I would share it on here. We lived in Eastbourne at the time. Our eldest had been born in Brighton. I hope you like reading it! 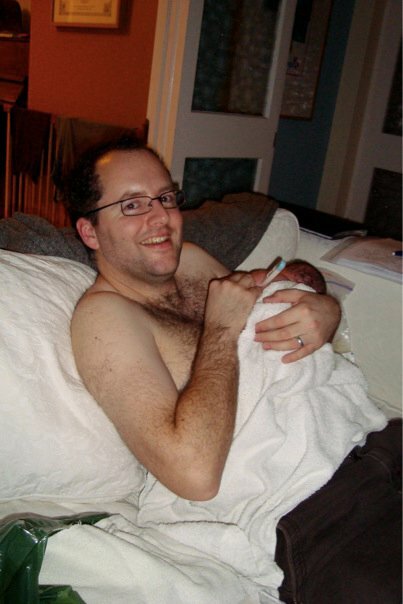 Having had an emergency C-section for W, due to an undetected breech, after a planned hypno-water-homebirth, I was determined to try to have my homebirth second time round. 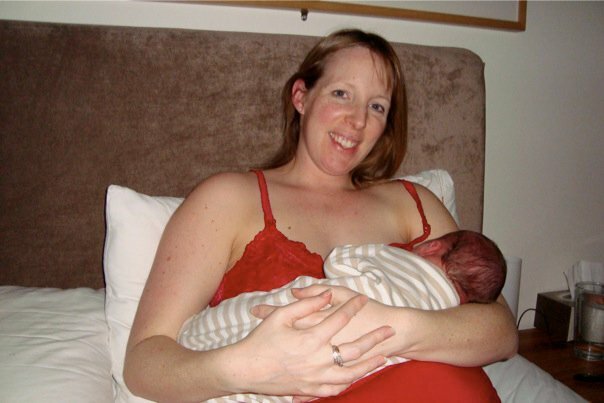 It’s basically impossible to have a homebirth here, let alone after a C-section, so we chose to hire an Independent Midwife for our ante-natal, birth and post-natal care to avoid any ‘battles’ with the medical profession. 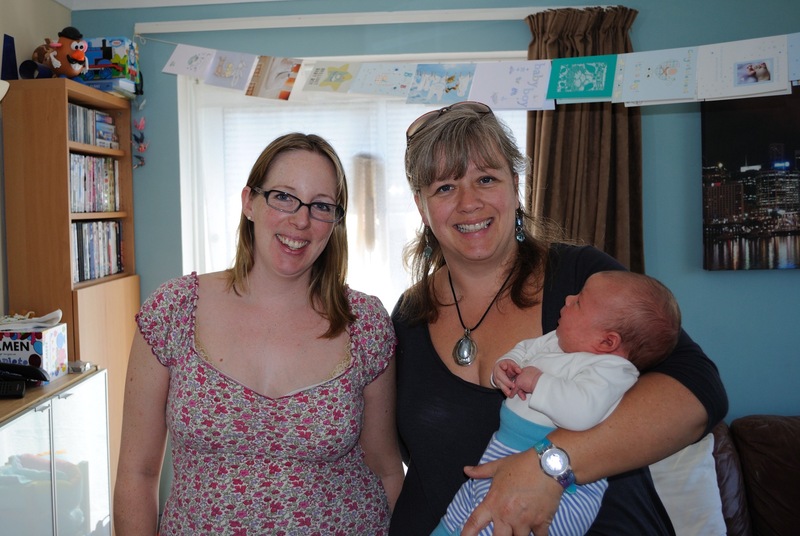 Anja Kositzki had been our friends’ Midwife and came highly recommended. We had completed a Hypnobirth course before W was born so some of the terminology used here is from that. I started to have some practice surges on the evening of Sunday 28th March. I text Anja, to let her know that it may be starting some time soon, as this was 6 days before my due date. S blew up the birth pool, just in case it was all kicking off. The surges were intermittent and stopped when we went to bed. On the morning of Monday 29th March I started having intermittent surges again. After an hour or so of them I went and ran a bath to see if they were ‘real’ or just practice. I kept in touch with Anja to ask when I’d ‘know’ it was properly starting, and so she knew she might be heading our way some time soon! I also text my parents, who live 4.5 hours away, as they were planning to head over to look after W when I was giving birth. W was very cute and stood by the bath while I was in it, passing me his toys and chatting and singing to me and the baby in my tummy. The surges slowed down in the bath and had all stopped by 11am so we carried on with our day as normal. In the evening we were watching TV and they started up again, so sat on the exercise ball until Glee finished at 10pm, breathing through the surges. Once it finished I again ran a bath to see if they carried on in there. They did, so we text Anja and S started filling up the pool. I got out of the bath after about 20 minutes and decided to try and rest as much as possible, so lay on the bed, listening to our Hypnobirth affirmations CD and breathing through the surges. They were becoming more regular so at midnight I asked S to call Anja for her to head over. The birth pool was filling up seriously slowly due to our slow water supply but I really needed to get in so I got in while we continued filling it up (it was about 6 inches full). The pool definitely helped – even with that little water in. I carried on breathing through the surges as they got stronger and more intense. Anja arrived at about 12.30am, by which time the surges had no breaks between them at all and I was feeling quite tired by the relentlessness of them. I was sick a couple of times (a fairly normal reaction of my body). I had been kneeling down in the pool, leaning on the edge of it up to this point. Anja suggested I might be more comfortable floating on my back, with S supporting my weight under my arms and shoulders. Fairly soon after saying and feeling that I really couldn’t carry on I moved into the next stage of my labour which was a big relief as I got a chance to take a bit of a break before the final birthing stage began. Once I’d had a few minutes break, I felt the urge to start breathing down the baby. With the help of S and Anja I kept my hands and face relaxed and just concentrated all my energy on breathing. I could feel the baby moving down. My waters then broke and I could feel the baby was close behind. With each breath I could feel the baby getting closer and closer to making his arrival until eventually I birthed his head. I had a short pause, during which time I’m told the baby rotated, and then with one more breath I birthed the rest of his body. I can honestly say, hand on heart, that I did not push at all. Our beautiful baby boy was lifted out of the water by Anja and placed straight on to my chest, then covered with a blanket and hat while we stayed in the pool. I could not believe I had actually managed my home, water, hypno-birth!! I’d had no drugs at all and felt the most incredible sense of achievement. T arrived at 1.50am – about 4.5 hours after my surges had started. There had been no screaming and shouting – it was all very peaceful and W had stayed asleep in his bedroom the other side of the corridor through the whole birth. After a while in the pool cuddling T and having a few photos taken, Anja and Simon helped me out of the pool and onto the sofa so Anja could check I was all ok. I lay there with T on me until the cord stopped pulsating. This took much longer than I expected – about 30-45 minutes I think. In the meantime I text my parents and they set off from home to come and see us all and to look after W when he woke in the morning. Once it had stopped pulsating S cut the cord and T then lay on his chest having a cuddle while Anja took me to the bathroom to birth the placenta. When I got back I lay back on the sofa and fed T for the first time. After a little while Anja checked and weighed T. I could not believe it when she told me that the baby I had birthed weighed 9lb 10.5oz! I was expecting him to be reasonably large as W was 9lb 4oz at one week overdue, but wasn’t expecting quite that size. After T was given the all clear, Anja took me to the bathroom to help me have a shower and get cleaned up. I then went through to the bedroom to have a couple of stitches. After that was done I got into bed with our new baby while Anja and S finished clearing up. 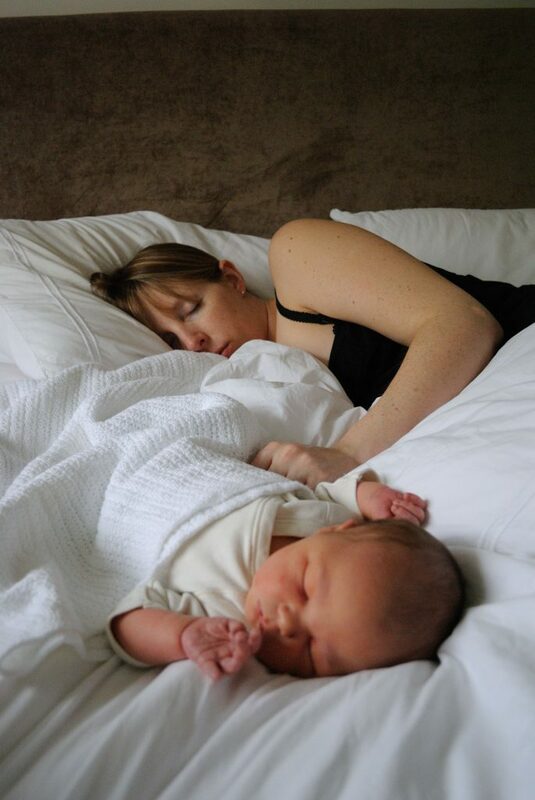 It was 5am and I was snuggled up in my own bed with our beautiful baby boy, that I’d birthed just 3 hours earlier. S joined me just before 6am and Anja headed home for some sleep, before coming back that afternoon. W woke at 8am, at exactly the same time as my parents arrived – perfect timing! W came in to meet his baby brother and my parents to meet their new grandson. It felt so lovely to wake up at home, with all the people I love around me. I would not have changed any of it – it was everything I had hoped it would be!